Hi there! 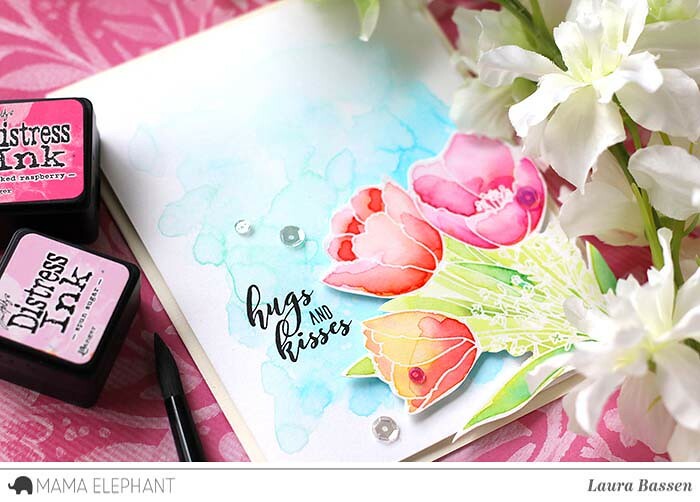 Laura here and today I have a fun "loosey goosey" watercolor project to share featuring the beautiful Timeless Tulips stamp set. 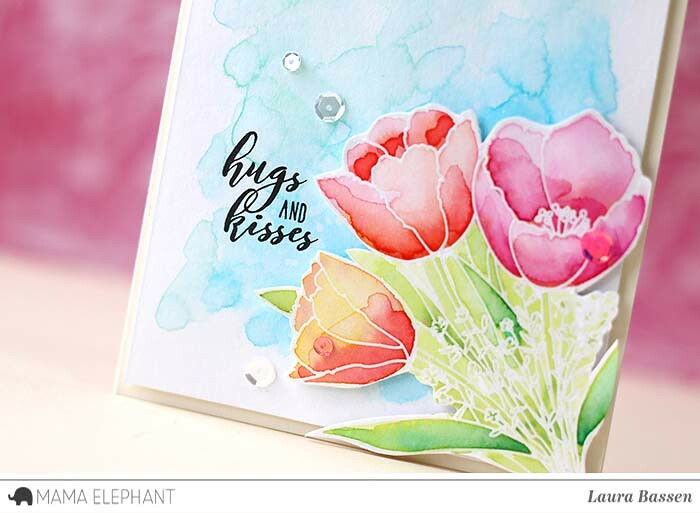 I started by embossing the Tulips image in clear onto distress watercolor cardstock. Here's video to show you how I created my card. Laura, thank you! Love your "loosi-goosie" style. This is lovely. Gee - I wish I was that bad at watercoloring! Ha - beautiful and you made it look very easy. Laura, You may question your water coloring (you're wrong -- it's beautiful), but you're certainly the "loosy goosy" pro! Beautiful card. Laura, don't say you're not a watercolorist. This is exquisite! This is gorgeous. Yes you are, you really are a watercolorist! 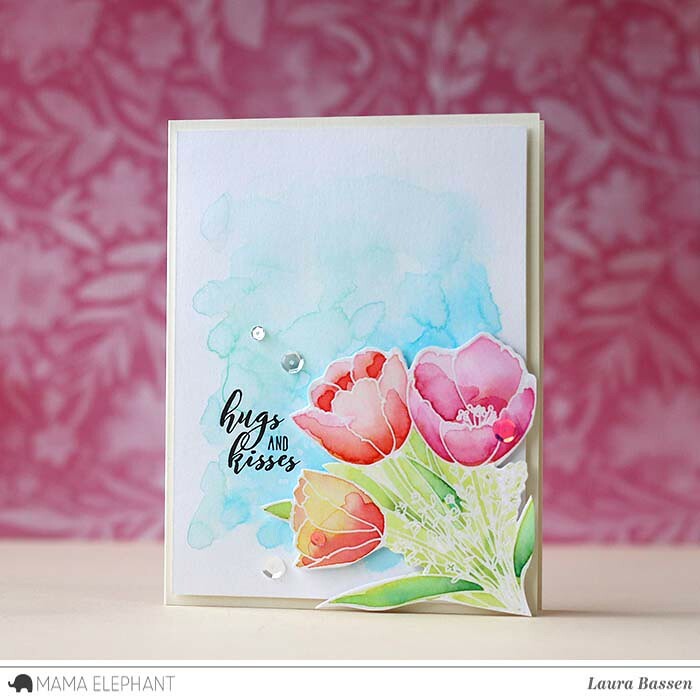 This is a great tulip stamp from Mama Elephant! Fabulous and I love your loose-goosey approach. Such a beautiful card. The coloring is lovely. No need for your insecurity about watercoloring. This turned out fabulous! Gorgeous card! Love that "loosey goosey" watercoloring, which I think you've mastered! Laura's videos always make me SO happy! !